HBO's VICE News Tonight highlights Wade Mendez, the Maryland-based barber who specializes in hair weaves for men. Let’s face it, weaves are nothing new. No matter the hairstyle you prefer or want to try, it’s the ultimate way to primp your hair. For many of us ladies, getting hair extensions isn’t a big deal—but there seems to be a double standard when it comes to men wearing weaves. Last night’s episode of HBO”s VICE News Tonight ended with a segment answering many of the questions we had about the “man weave.” The viral trend has caught many of us off guard, especially since quite a few men haven’t hesitated to make it clear that they do not prefer women to wear weave. This is the man weave. Tonight we follow a barber as he applies a man weave, or as he likes to call it, a hair unit on #VICENewsTonight at 7:30PM EDT on @HBO. 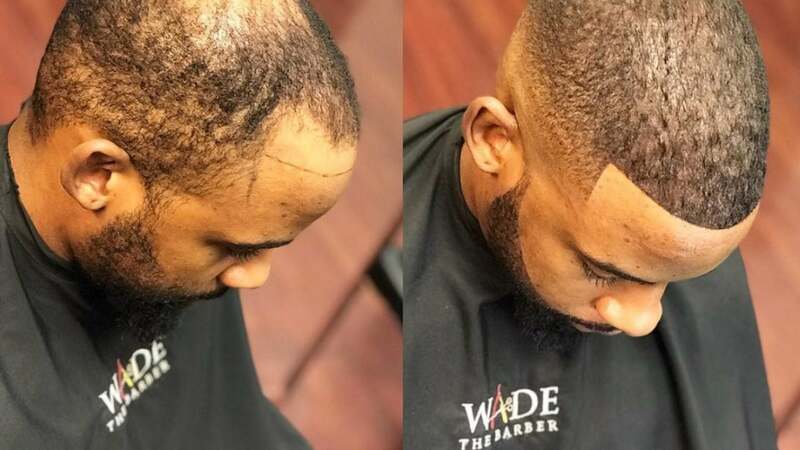 Wade Mendez – also known as Wade the Barber – is the head barber of The W Hair Loft barber shop in Maryland who specializes in weaves for men. Mendez definitely provided enough insight about it for us to stop side-eyeing the emerging trend – but, we’re still not sure about the installation process, which he seems to be keeping a secret from the public. From the looks of things, Mendez uses a hair unit similar to a toupee to cover the bald section of the head and then styles and cuts the unit to conceal it. Sounds familiar, doesn’t it ladies? What are your thoughts on weaves for men? If your man came home with a weave, how would you react?